The practice provides services for patients who live within a specific area. The map shown outlines the area. We will support any person living at an address within our boundary. Additionally the northern boundary of the practice extends along the Don Valley as far as and including Wharncliffe Side. 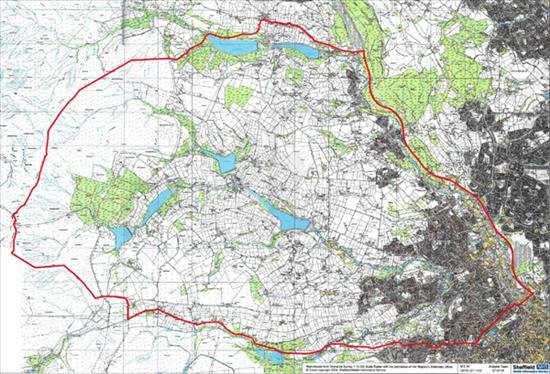 The practice boundary follows the county boundary round to the A57 Manchester Road then runs back into Sheffield to Crosspool. The boundary then follows a line down Lydgate Lane and Crookesmoor Road down to the A61 then returns back along the Don Valley to Hillsborough. The image below shows a map of the approximate practice area. Please click here to open a pdf version of the image.